Hutcherson adds, “We chose ‘Flesh to Nothing’ for this guitar playthrough because it covers a lot of ground — a somber, downtempo chorus gives way to a galloping bridge early in the song, while the vocal interplay during the black metal pre-solo break alludes to the dueling guitar leads near the end. Oh, and let’s not forget all the harmonized guitar lines — we channeled Iron Maiden quite a few times in this track! Over the years, lots of fans asked how we write and play these songs, so we felt that ‘Flesh’ would serve as an ideal introduction to playing our brand of doomed heavy metal. See KHEMMIS’ “Flesh To Nothing” playthrough HERE. Also watch the previously-released official video for “Isolation” HERE and the official visualizer for “Bloodletting” HERE. 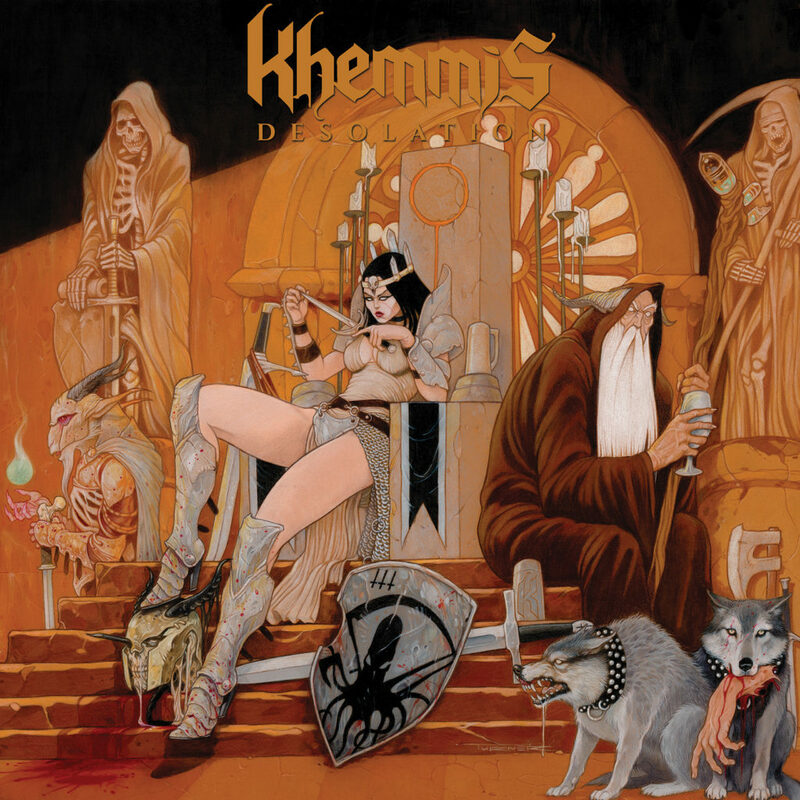 KHEMMIS’ Desolation is available for order now in the US via 20 Buck Spin HERE and internationally through Nuclear Blast HERE. 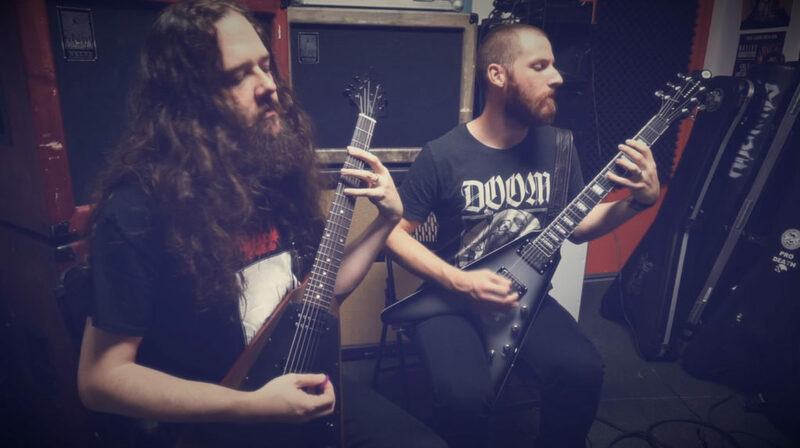 KHEMMIS is preparing to perform several new live performances this month and next in support of the LP, beginning with a Western US run in late November where they’ll play alongside the likes of The Black Dahlia Murder, Pig Destroyer, Power Trip, Ghoul, Gost, Skeletal Remains, and more with shows in Fort Collins, Portland, and Berkely on their way to play the first night of Decibel Magazine’s Metal And Beer Festival in Los Angeles December 1st with Testament, Pig Destroyer, The Black Dahlia Murder, Necrot, Pounder, Trappist and more. 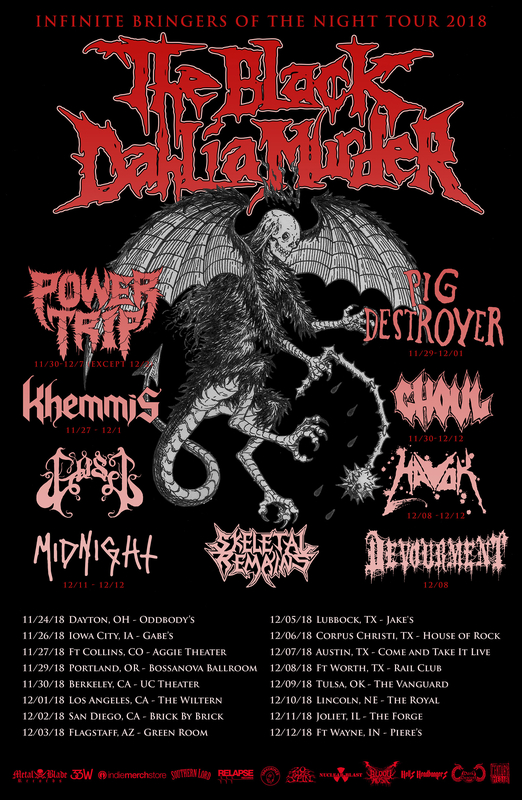 Later in December, KHEMMIS plays Two Nights of Doomed Heavy Metal – two back-to-back hometown Denver shows, each night performing different and unique sets drawing from all the band’s releases. The first night, A Night of Doom, sees support from Dreadnought and Green Druid, while night two, A Night of Heavy Metal, will see Of Feather And Bone and Nightwraith opening. KHEMMIS‘ passion for progressive and soulful heavy music is more evident than ever. Though undeniably influenced by doom and classic metal, to tag them with those labels doesn’t do justice to what’s accomplished on Desolation; a perfect representation of modern heavy metal in 2018 that integrates the past in a way only possible in the present. It’s impossible to ignore the lengths that the four-piece go to, to master their craft and produce a highly unique form of heavy sound. Their magnificently uplifting yet sorrowful groovy riffs weave you along on an unparalleled journey. Desolation is not just the best KHEMMIS record to date but a testament to the quality that heavy metal is still capable of. From the stadium-sized opening notes of “Bloodletting” it is immediately evident that KHEMMIS is again putting distance between themselves and their earlier influences, to inform a sound that is singularly their own. “Isolation” – which the band recently aired live in the US on their tour with Enslaved, Wolves In The Throne Room, and Myrkur – is the album’s lead single and most immediate track, with the classic metal melodies the band have become revered for shining throughout. On epic closer “From Ruin” and throughout the entirety of the album, the lead vocals and melodies of Phil Pendergast are the clearest, most powerful and best arranged that the band has achieved. Working for the third time with Dave Otero at Flatline Audio in Denver, the band and producer now have the familiarity and mutual experience to arrive at the perfect symbiosis of songwriting, arrangement and production value. The bewitching cover artwork was created by Sam Turner (Black Breath, 3 Inches Of Blood, In The Company Of Serpents).